Hakone is the name of a hot spring town located at Kanagawa, Ashigara-gun, Hakone-cho. 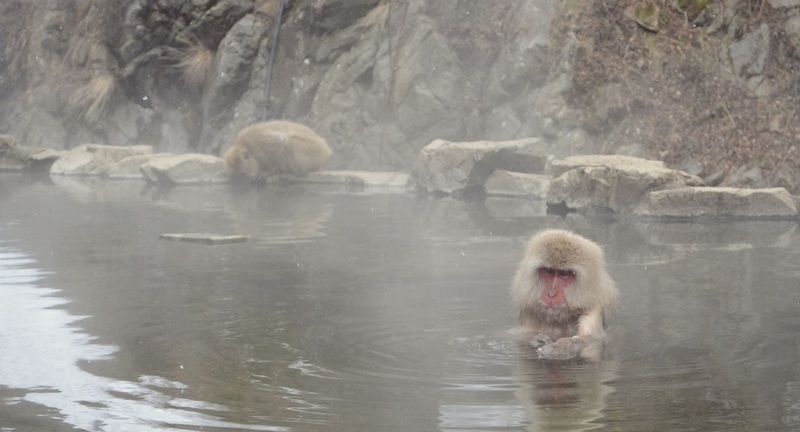 There are hot spring towns all the way from the bottom of the volcano to its middle. You can visit Hakone on a day trip, and it is actually famous for being accessible, as it only requires 85 minutes from Shinjuku by the Romancecar. Apart from natural springs, there are also numerous attractions like art galleries and shrines. Hakone’s hot springs are separated into 8 areas based on the types of water. Out of these areas, the “Hakone-yumoto” area has the most number of accommodation facilities. Its waters are simple spring waters, which is known to be kind on the skin. The water is transparent, and without scent or taste. However, the type of water at your accommodation or public baths may have a different type of water, so do be sure to confirm. Next, the “Tonosawa Area”, which was first found at the beginning of the Edo period, and this area has since been developed as a bath area. The third one would be the ‘Miyaonoshita area”, where you can soak in famous baths, while enjoying the retro yet modern streets which attracts many foreigners. The 4th would be the “Kowakudani Area”, which is also located 600m above sea level, and is home to spots where you can lose yourself in the nature surrounding you, such as Horaien and Chisuji-no-taki. Following that would be the “Gora Area”, which has a white cloudy spring, which is rich in minerals. They sell souvenirs of famous hot springs at the accommodations in this area, which will make your hot spring trip even more interesting. The 6th place is the “Sengokuhara Area”. Located 700m above sea level, It has whiter water than Owakudani, but more transparent water than Ubako, and the accommodation in this area all directly draw their water from the springs. The 7th area is the “Ashi-no-ba Area”, where it is said that the water transforms into 7 different colors, and is rich in minerals. The 8th area is called the “Lake Ashi area”, where you can catch the stunning view of Lake Ashi and Mt. Fuji. The “bijin-no-yu” which women adore contains a “sulfate spring” that gives your skin the shine it needs, and deals with keratin particles, thus making your skin soft and silky with the “carbonated spring”, and it also has a “sulfur spring” that whitens and detoxes your skin, and last but not least “alkali spring” which cleanses your skin to let it regain its youth. Apart from having springs rich in minerals, it is a major bonus to be able to enjoy the breathtaking sight of nature while soaking in the baths. You will definitely be able to release the stress of everyday life and relax here at Hakone.